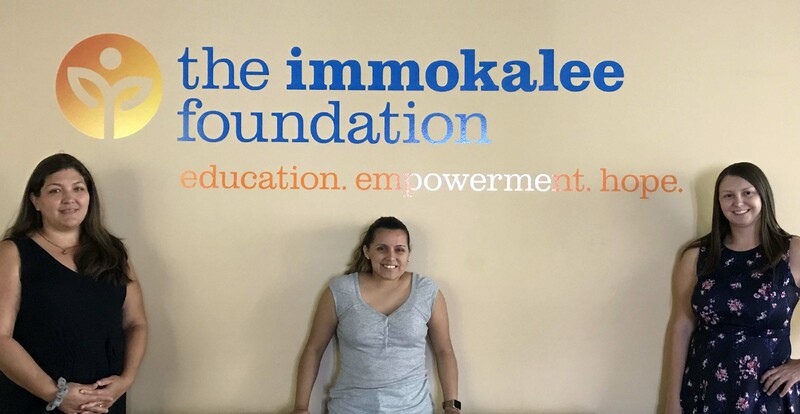 A partnership between Florida Community Bank (NYSE: FCB) and The Immokalee Foundation has resulted in the FCB Impact Center, a collection of local nonprofit organizations serving Immokalee and Collier County with programs and services benefiting residents of the community. 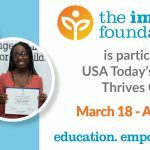 In addition to The Immokalee Foundation, organizations housed within the FCB Impact Center include One by One Leadership, ICO Arts, Taste of Immokalee, Goodwill Job Link, AARP, Lighthouse Center for the Blind, H.E.L.P. of Collier County and Legal Aid. 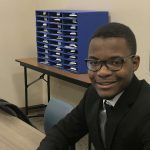 Luis Cartagena, FCB branch manager and board member for The Immokalee Foundation, worked with Kissinger to discuss ideas for a sizeable annex not needed for day-to-day bank operations. Kissinger immediately saw an opportunity for what this space could provide, which formerly housed FCB’s back-office operations and administrative divisions. The Immokalee Foundation signed a lease, and Kissinger and Cartagena went to work converting the space to offices. Kissinger used three offices for foundation staff. He then worked with the United Way of Collier County to identify partner agencies to round out the services offered to low- and moderate-income residents of Immokalee. Existing organizations were leasing space throughout Collier County, including Immokalee, but the FCB Impact Center now allows these nonprofit organizations to provide an array of programs and services, which ultimately benefit the community at large. Not only does FCB provide the space to these organizations as an in-kind donation, the bank encourages associates to support these organizations by serving as board members, mentors, volunteers and advocates to promote their missions. The FCB Impact Center is located at 1400 N. 15th St. in Immokalee. Florida Community Bank, N.A., (NYSE: FCB) is the largest community banking company and the second largest Florida-based independent bank, and is among the most highly capitalized banks in the state. Awarded a five-star rating from Bauer Financial, FCB assets are more than $10 billion, with capital ratios that exceed regulatory standards. Since its founding in 2010, FCB has been steadfast in its commitment to delivering personalized service, innovation, and products and services equal to those offered by the national banks. Similarly, FCB recognizes the importance of community, fostering a corporate culture that promotes employee volunteerism at all levels, while supporting community-based programs and partnerships that help promote greater financial independence and improved quality of life for families. FCB serves individuals, businesses and communities across the state with 46 full-service banking centers from east to west, and from Daytona Beach to Miami-Dade. For more information, visit FloridaCommunityBank.com, Equal Housing Lender, Member FDIC.